IF YOUR CREATIVE DREAMS are still in the closet . . .
. . . or you feel you’ve lost your spontaneity in an effort to fit into the publishing system . . . or you just want to put some fun back into your creativity . . .
. . . then find out how writers and “closet writers” have ignited (or re-ignited) their passion for creativity using this little-known method. Since you’ve ended up here, chances are, you’ve searched the Internet for something a little different. Maybe you weren’t even really sure what that “something different” was. It turns out this visitor, Walt Nickell, does feel that Fear of Writing has helped him. You can use the 60-second survey below to find out if it might also help you. felt haunted by this question: “There are millions of short stories and books in the world—who cares if I write anything”?Or, if you’re out searching on behalf of a loved one . 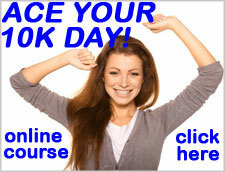 . .
Do you know someone who would dearly love to take up writing but has been too intimidated to try? If even a single question on the above list speaks to you, then my book can help you. 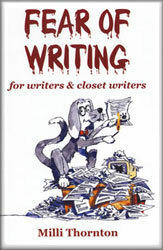 The name of the book is Fear of Writing: for writers & closet writers. But this wouldn’t be a helpful book for your creativity unless you actually write something yourself. This book provides 112 ways for you to quickly, easily and painlessly start writing—and you can also use these 112 ways more than once for different results. So, the sky’s the limit! Now you can use that enticing new notebook you’ve been too busy (or too nervous) to crack open. In almost eight years of running writing workshops, weekly writing circles and online forums, I’ve never seen this method not work. 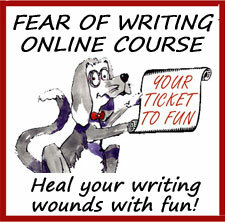 Recently, a 79-year-old man came to the Fear of Writing Clinic with no previous creative writing experience. All he’d ever written since his school days amounted to some office memos. The Fertile Material exercises motivated a creative area in my brain that was lying dormant. One minute I was staring at the title of the exercise—the next thing I know I was shaking the pain out of my hand from writing five pages. 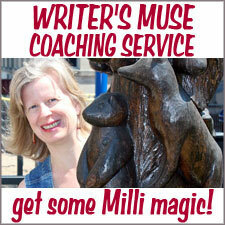 Everyone suffers from the occasional onset of fear if not full blown writers’ block. I offer FEAR OF WRITING as a remedy every time. 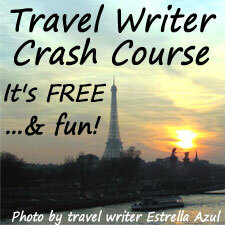 I’d been battling a case of writer’s block ever since the terrorist attack on September 11. Each word needed to be squeezed out of me like lemon juice, and when it hit the page it was just as sour. And then I read “Jack’s House.” Every obstacle Helen encountered, every fear she had, every thought she had, paralleled my own troubles so completely I was stunned. I’d been terrified that my fiction was trivial, meaningless, and without purpose, but when I finished reading “Jack’s House” I understood what I needed to do. This was the miracle I’d been searching for. Thank you! Milli’s techniques are so friendly and non-frightening. . . . The book is very laid-back, conversational, and downright funny! Even the cover picture of the dog holding a match to his manuscript makes me laugh every time I look at it. 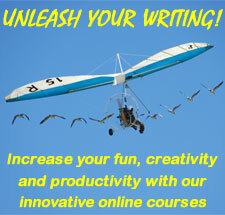 The exercises are fantastic—they wind up your imagination and let it go and then wonderful things happen.